The military buildup on the Tinian Westfield Airport will be kept north of its runway—granting a clear separation between civilian and military assets, as well as allowing for a consolidated use of property by any Department of Defense entity, according to both CNMI and military officials yesterday. 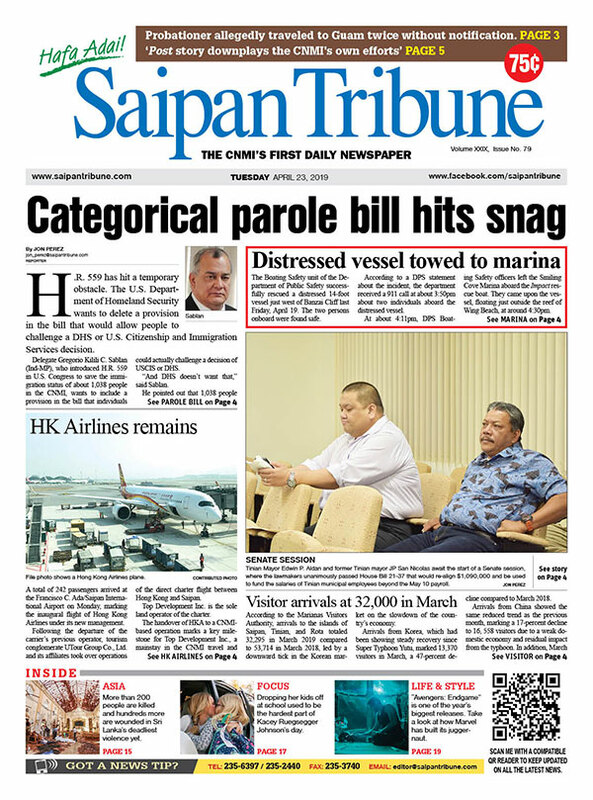 This is was made clear between the Commonwealth Ports Authority and DOD yesterday during their talks on a proposed airport layout plan inclusive of the military’s plan to build on the Tinian airport. “The meeting [yesterday] covered both the Air Force and the Marines,” she said. In the meeting, CPA established that “any and all [DOD] activities shall be situated in the north side [of the airport] to have that separation” and not “ intermingle civilians with military” and “civilian assets and resources with military assess and resources,” Lizama said. DOD officials—from the U.S. Pacific Command, Pacific Air Force, and Marine Forces Pacific—all agreed to this, according to MARFORPAC Defense Policy Review Initiative Planning Group Operations officer Tim Robert. “Now we can consolidate all our facilities. Instead of having two parking ramps, two maintenance facilities, two fuel storage tanks on the north and south side, we can put it all on one side. …We don’t have to go back forth, north and south of the airfield. It helps us consolidate our operations and helps deconflict from civilian operations on the south side,” he said. 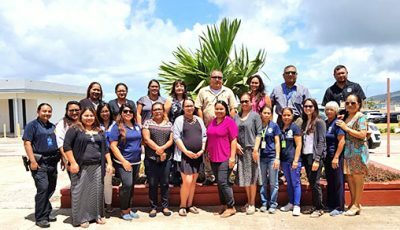 Moving forward, Lizama said that is now up to MARFORPAC, PACAF, and PACOM to come together and incorporate their infrastructural plans into the ALP. CPA will then see if this ALP imposes or overlaps with areas that they have plans to build on, she said. When the consolidated ALP comes to CPA, discussions to “fine-tune” the plans for CPA approval will move forward, before they submit the plan to the Federal Aviation Administration. Robert called the meeting a “breakthrough” in that both sides are now able to talk details and move forward with a proposed ALP. 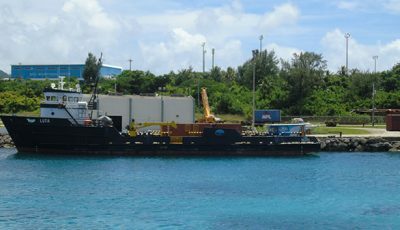 He described a parking ramp, cargo pads, fuel storage tanks, specific facilities related to arming and disarming aircraft, and potential for a pipeline to be installed from the Tinian port to the fuel tanks at the airport as some of the “the general big facilities” proposed.